I am still job-seeking and have faced several rejections so far. Rejections are painful. It gives us a sense that we are not good enough and brings our morale down. We instantly go into what I call, a self-beating mode. Me: Were you even listening to yourself in there? Me: Why do you always blank out you dodo? Me: I become nervous bro, give me a break! Me: Yo, I told you like a thousand times to read that article, instead you wanted to relax before the interview, now relax for the rest of your life, Mr. U.N.E.M.P.L.O.Y.E.D! Me: Leave me alone bro, you’re not helping. Maybe, this bag of chips will! I made it sound a bit hammier but you get the point. We become so melodramatic about the whole situation which drags us further down. The question arises, can we truly avoid all that self-beating? If you ask both versions of me (Me & Me), I’d say, No! It’s in the past now! How did I come to that realization? Well first of all, I am not Mr. U.N.E.M.P.L.O.Y.E.D yet. I do have a short term contract job but I am looking for a full-time opportunity. Now, for those of you who do not know, I work as a Scrum Master. What does a Scrum Master do, you ask? This fun short video should give you an idea. You know how sometimes you don’t pay attention to the words that you speak/read when you have said/read it so many times. So here I am, preparing for yet another retrospective, and I happen to glance through the prime directive once again but this time the words were screaming back at me (I did not get offended, I wonder why?). Me: The retrospective prime directive bro! Me: We’ve read it like a thousand times already, what’s new about it? Me: Do you see how it says, we did the best we could? Me: Wait a minute, you did the best you could? I was pushing you to do your best and yet you failed..huh! Me: That’s not the point you dodo. Me: How dare you call me dodo. What’s your point anyway? I am too busy being angry right now. Me: What is this, a self-motivation tactic? Me: Call it whatever but first let me complete…so from here on, I am going to truly believe that I did the best I could in all my job interviews and if it did not work out, it was not meant to be. Me: Oh wait, there’s one more thing…from now on, I am not going to get beaten-up by you! Instead, I am going to focus on the learning opportunities from those rejections and see how I can be better prepared for the upcoming ones. Just like we do in a retrospective! Me: Whatever! We’ll see when the time comes, don’t you have that other interview to prepare for? This is my reality (No, I do not have a bipolar disorder). Your reality might be different. You may not even have a job right now and that, I understand, causes a lot more stress. Build a support system around you. Not just of family and friends, but people from the same industry or job function that you want a job in. It helps to talk to people who get it. 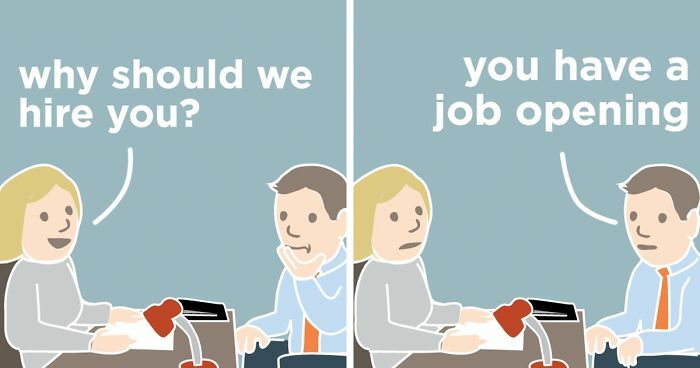 Sometimes, family and friends might not truly understand why you are so passionate about getting a job in that specific field and might end up sounding quite like the Me version of me. You know they mean well, but it just doesn’t help at times. When you are job hunting, you need the support of a community, a true support system. The best way to start building that support system is to network, and remember to do it for the purpose of building long-term relationships, not just for a job. You’d be surprised how people can connect you to other people in their network and before you know it, you will be attending more interviews just through referrals. After all, it is all about who knows you, not just whom you know. Here’s an article I wrote about that which might be worth a read if you need some tips on how to network. All it takes is one right interview. Everything else will lead you to that one. By the way, if you are one of those who is still wondering, what happened in my next interview? Well, I have cleared the first two rounds and am waiting for them to schedule the last round sometime next week. Even if I do not get selected for this job, I am now aware that I did the best I could for that interview and I will try and identify learning opportunities for my future interviews. To all my friends who are job hunting, stay strong! Dedicated to my support system, the Agile Community in Toronto! Previous Where does your help come from?